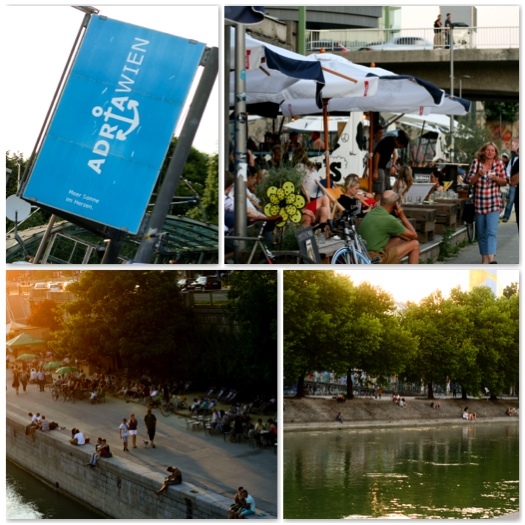 After our first post about Summer-Locations in Vienna we go on with the Beach Clubs on the other side of the Danube Canal – on the 2nd district . The area has developed over the years into a stretch of beach with a great atmosphere where visitors can try various delicacies. 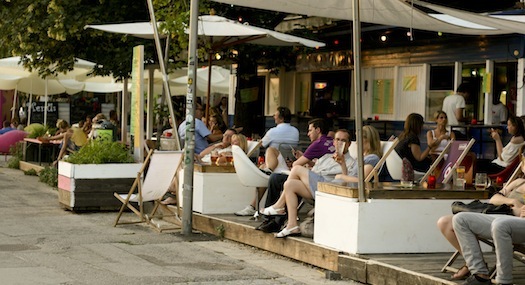 One could be forgiven for thinking that this is the Adriatic, as Adria Wien offers deck chairs, cocktails, a beach and a varied programme. In terms of food, it offers everything from Thai cuisine and Italian cuisine through to vegan food – visitors are spoiled for choice here This place is great to visit even in bad weather as visitors can find shelter in the “Glasshouse” pavilion Details of the varied programme, including panel discussions, readings, exhibitions or jazz are available on Adriaâ€™s website. 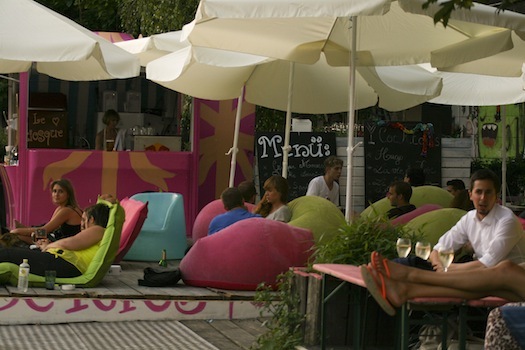 “To see & be seen” – this is the place in Vienna for meeting friends and people watching. 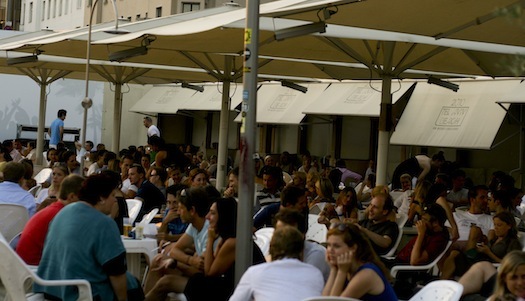 No other beach bar is this crowded in the evening, and nowhere there are so many people sitting and talking animatedly. 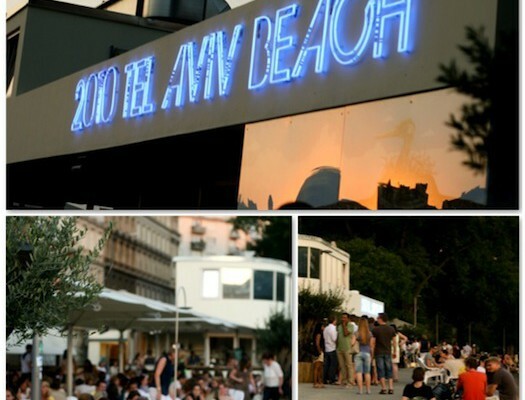 Tel Aviv Beach attracts crowds every day as it offers good music, excellent food and drinks as well as water pipes and it is, therefore, a great place to watch the sunset. 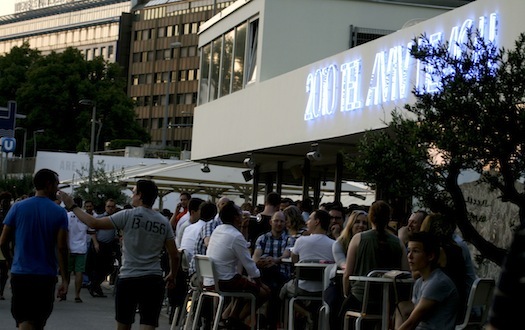 In order to get a good seat, you should get there early – otherwise you can sit on the bank of the Danube Canal – which is not bad either! 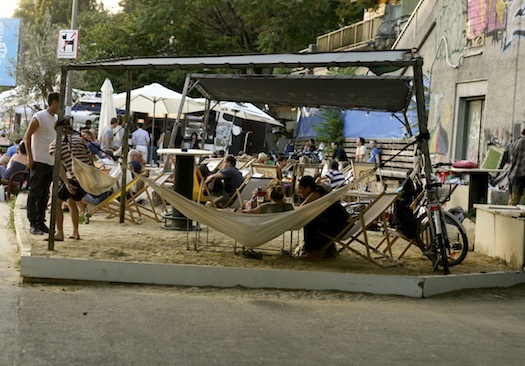 One could also call this location in Vienna a surfer chill-out zone. 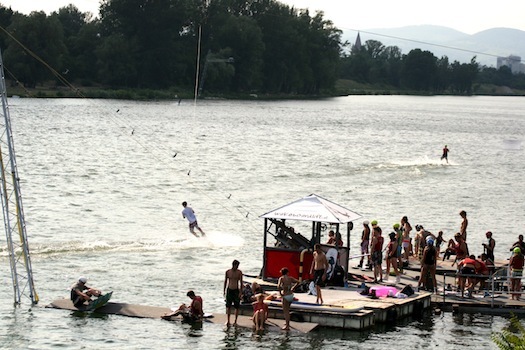 Vienna has a wakeboard lift where beginners and advanced can pursue their wakeboard activities. 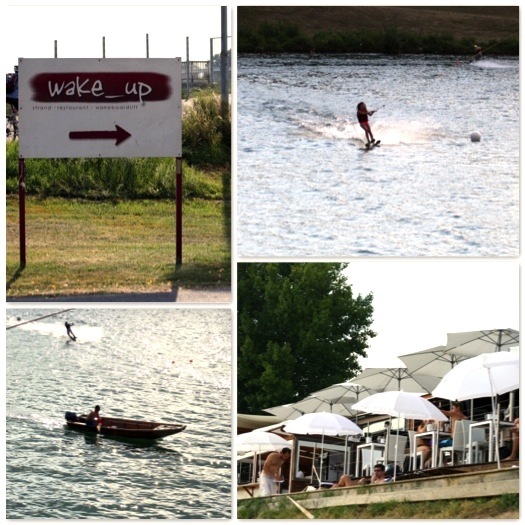 The “Wake Up” is situated right next to the lift and frequented by wakeboarders as well as sun-worshippers, who chill out, hang around the beach bar, or enjoy fine dining in the restaurant. 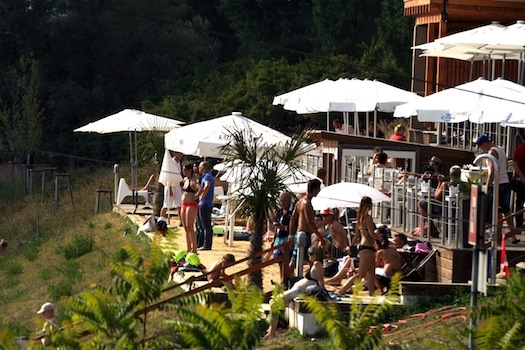 In addition to “surf atmosphere,” it offers spectacular views of the Danube River and the surrounding nature. This is a must-visit place for chill-out lovers and still within easy reach – simply take the underground to U2 Doaustadtbrücke station. "What a nice family run hotel"